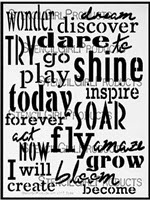 Believe Dream Create with Maria: StencilGirl and Clearsnap the Blog Hop! StencilGirl and Clearsnap the Blog Hop! 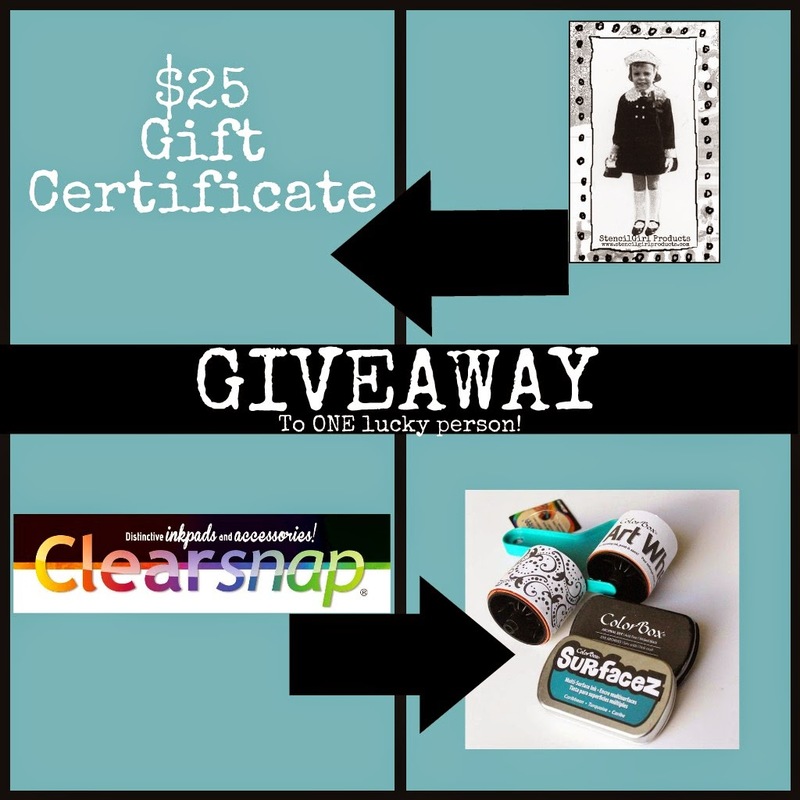 Welcome to the StencilGirl and Clearsnap Blog Hop! It is true when they say that your mood is reflected in your art. This is a perfect example. I've been sort of "off" lately. Apparently, it transferred over to my Art Journal page. Well let me tell you, it took quite a bit of struggle to get it there. Nothing I was doing was going right. Here is a little progression so you can see how it went down the drain and then I started to bring it back. I started off on a Art Journal page that was already started in my book. 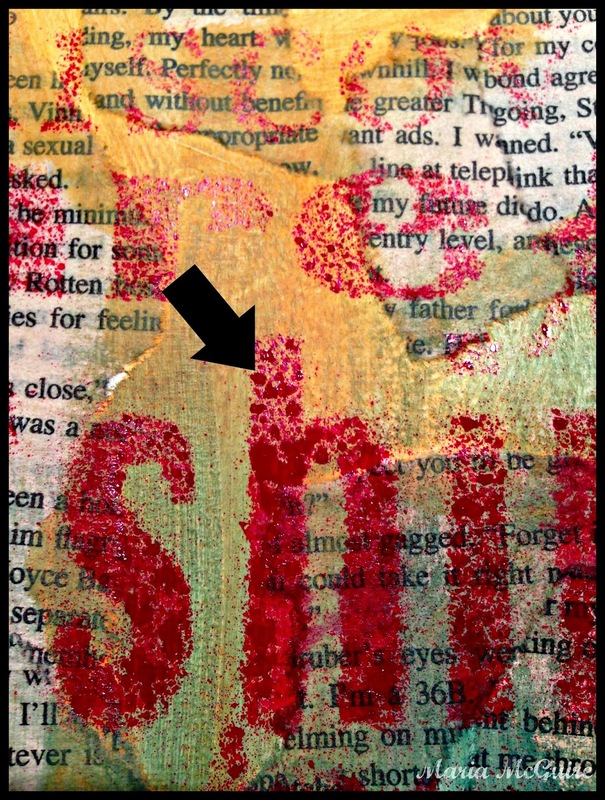 Just some old text pasted down and some acrylic pant. 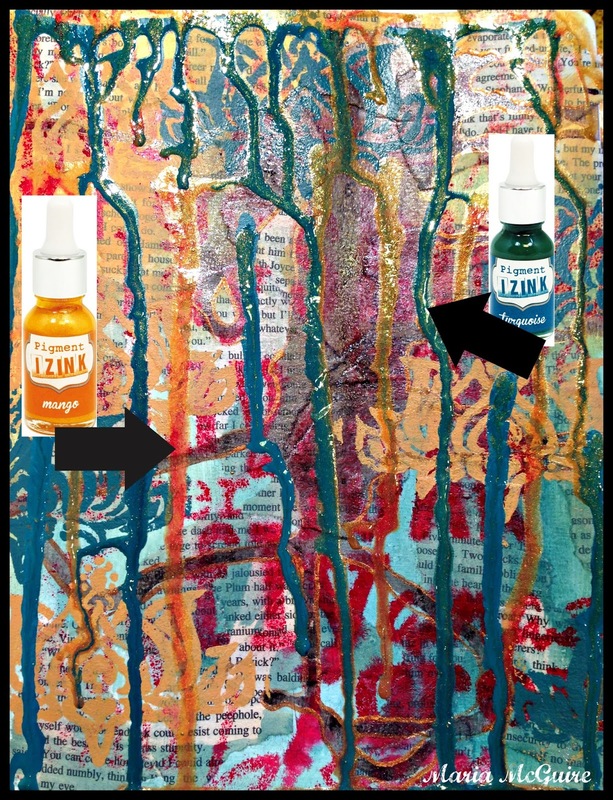 I used the ColorBox® Spritzers with the Now Is The Time stencil from StencilGirl. WORDS are the perfect start to ANYTHING. I LOVED how the spray came out of the bottle in little splats, yet kept its place. So far, so good......I had NO idea where I was going with this. 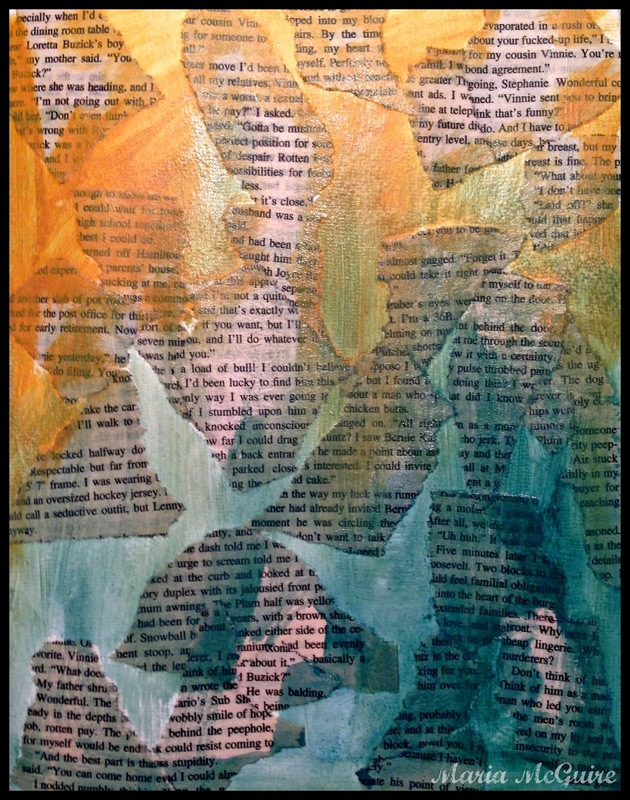 I used the Jumbo Smooch Spritz® on a piece of scrap paper to see the color--LOVED it and all the fine sparkle, good to go on to the page. Well, I think I shook it too much and the sparkle in the bottle clogged. I don't know if anyone knows this, but I have little patience with some things. I needed to get this page DONE! NOW! I opened the bottle, and of course, spilled it right on my page. Totally my fault for not taking the time. Accidents happen for a reason I guess.....just move ON! Totally my fault. I took that spill as an opportunity to use a product I was familiar with. 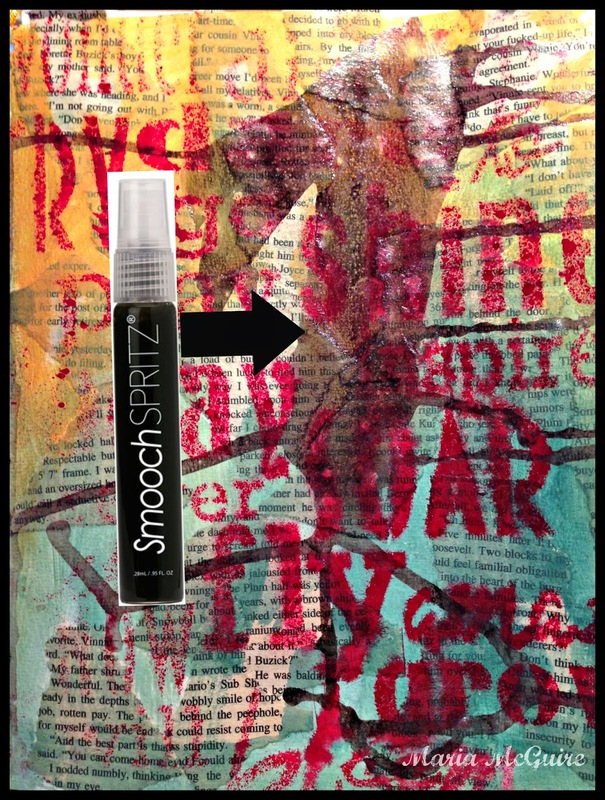 I outlined my "spill" with Smooch®. LOVE this stuff!!! What to do now....I HATE this page right now! I took out the IZink. I had other ideas for this product (that will come at a later date) but for now, I figured what the heck. This stuff has a really thick cool appearance. While I LOVED the product....my page wasn't getting any better. Stencils, OF COURSE, to the rescue!!! I took out two new ones on my desk: Lilly Wallpaper and Art Deco Wallpaper. Really loving these two right now. I went back with my two original colors of acrylic paint and randomly stenciled parts of each stencil over everything. You can even see where i just free hand tranced my painted stenciling trying to recover. Helping....I could see where I could take it now.....back to the beginning where I started with the Now Is The Time stencil. 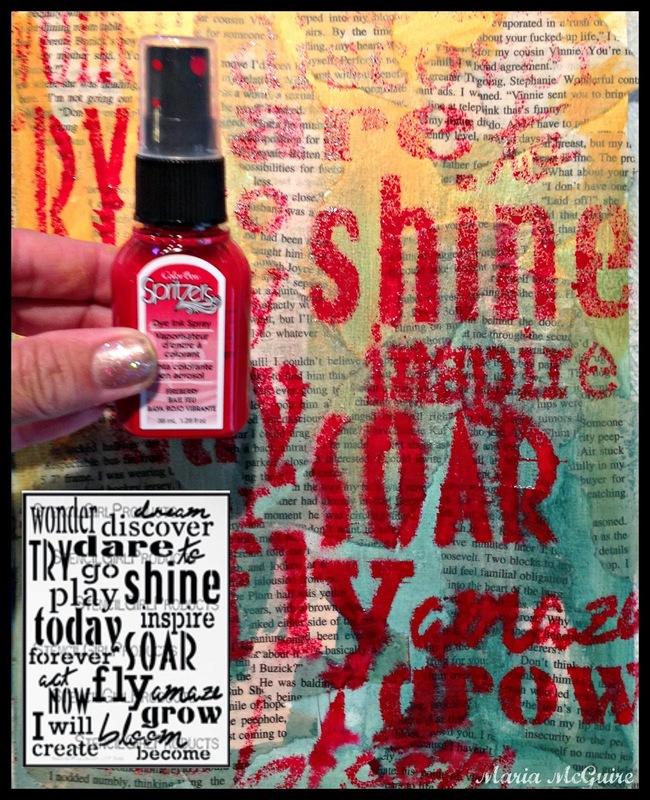 I traced the words I wanted from the stencil with a black pen and then used the ColorBox® Spritzer with a paint brush this time adding some red around the letters randomly. Red also makes EVERYTHING better! Then my favorite part EVERY time! The details.....black pen, white pen, MORE Smooch® randomly. I felt like it was alive again! I love seeing all those products layered together! Here is even a better look! Did you see what everyone else made today??? 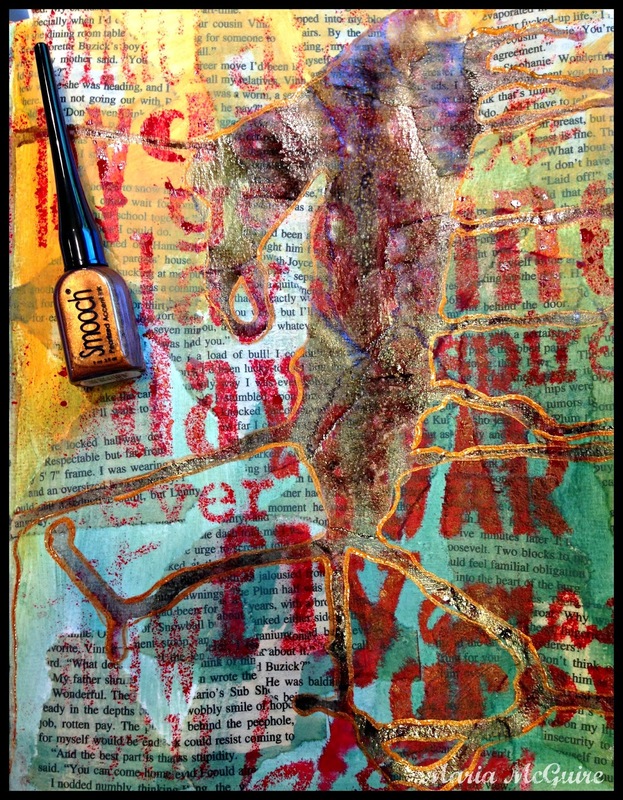 Love the layers of different media, Maria! Lovely!! Nice to know I'm not the only oops maker out there...lol. Love the page in all it's layers! SO true about the 'uglies' and getting stuck. Happens a lot unfortunately. Thanks for sharing yours (tho it wasn't that bad) and the encouragement to push forward... textilerecycler (at) yahoo (dot com). Thanks for sharing! Had to pin this, as it is wonderful to see the creative process!! It's that lovely moment that everything all comes together just after you almost give up and toss it. Awesome! Don't ever give up!!! AND you didn't and it looks great! I LOVE the layers that came forth. 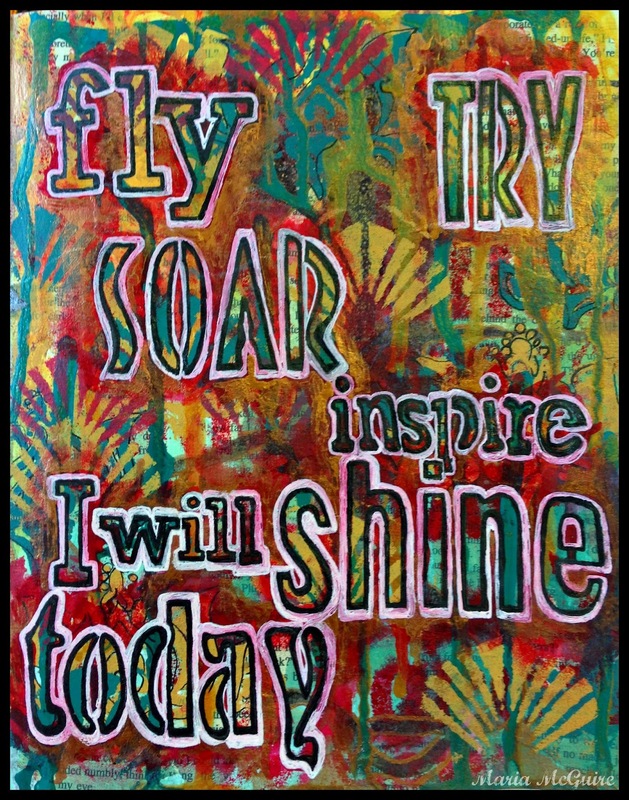 Really nice job Maria, thanks for inspiration and encouragement - it shines through. isn't the saying something about having to kiss a few frogs before you find the prince. 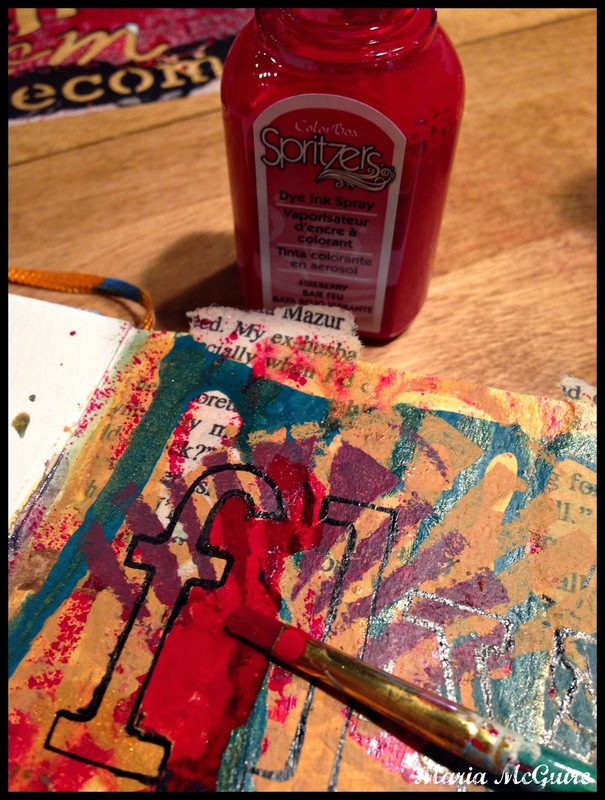 Art journaling is the same. You have to keep trying and all of a sudden - there it is, the prince of a page. The colors are bright and bold. the sentiment is very appropriate. way to rescue your page. Love how it turned out! Hey..this end result is great. Believe me when I say this happens all the time. ("off" is my middle name lately). Miss you. 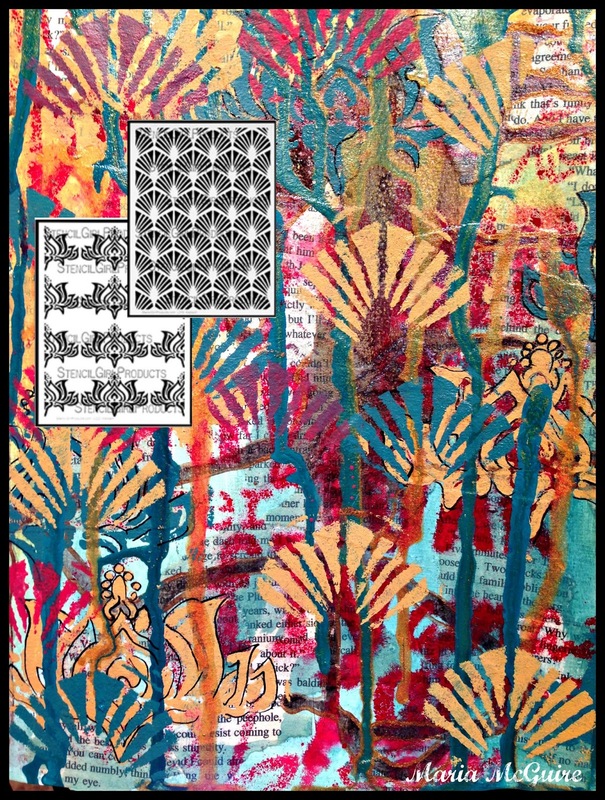 Maria, you really know how to use Smooch and those other supplies -- what lovely artwork you've created with them! And the stencils you chose are so pretty -- great designs! inajrabbit@yahoo.com says love how you saved your journal page fantastic idea looks great! I would call this page 'Redeemed'….which is exactly what you did with it, and so very well done, Maria! All these products look like so much fun and now that I know their qualities, I think I need some! I think it looks fabulous. It goes to show...there's no such thing as bad art...just unfinished art. Thank you for sharing your creative process - and how sometimes it takes a detour! Love how it turned out in the end. Rrally cool experimentation! Thanks for taking us along on the ride!!! Wow,you made that an interesting journey from one page to the other! Great page! Glad you were able to save it. You're so funny! 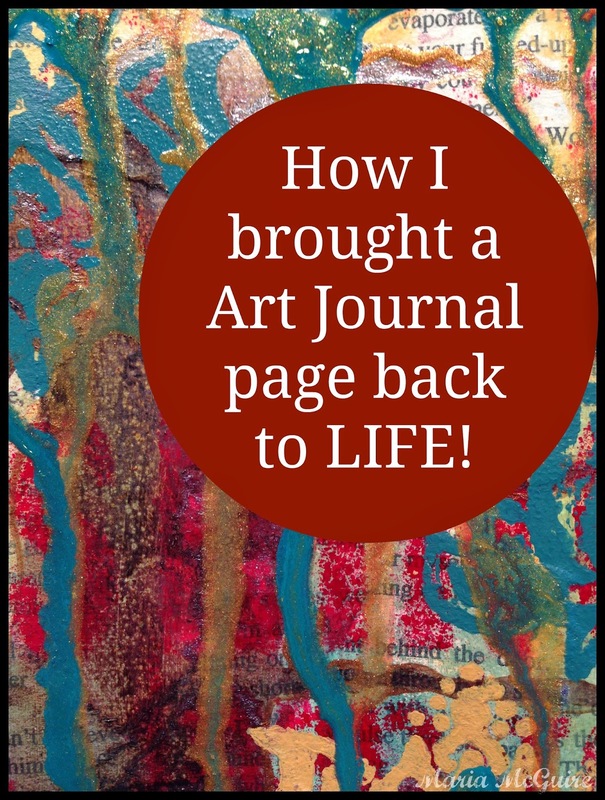 I loved watching the transformation of your journal page, it teaches us that persistence is key in art! I love watching your process and it turned out wonderful. You made it into a wonderful page! Wow, this turned out amazing! 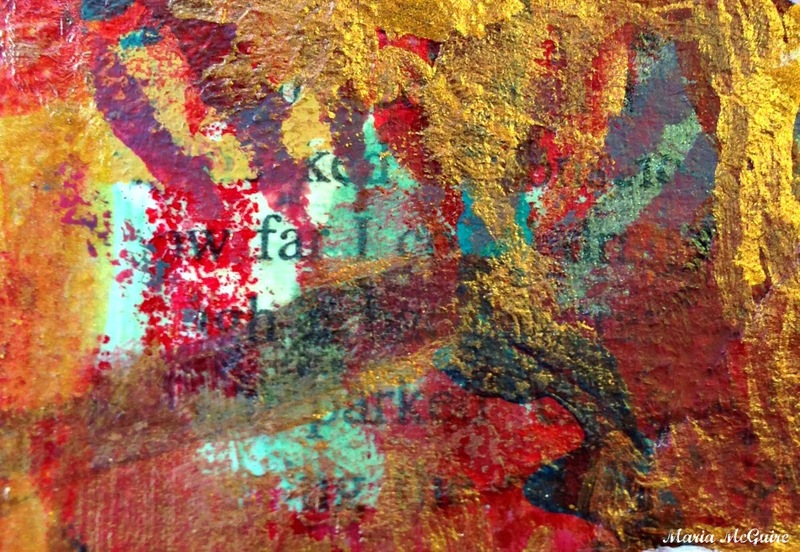 I love the texture, thanks for sharing. Thanks for the inspiration. It's great to see you turn something you don't like into a great page. Maybe there is hope for some of my work. Every piece of art goes through an ugly stage. you have shown that persistence is the key! Loved the process, the oops, the fix and the recovery!! Thanx for reminding us art doesn't go according to the plan.. be prepared to always leap beyond ur expectations!! I love all the layers! I always enjoy pages that just sort of evolve!! 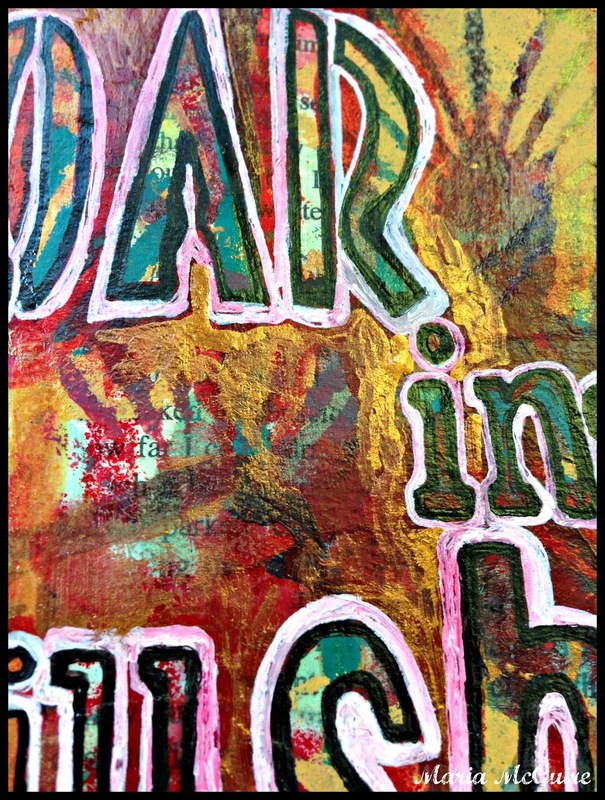 Art journaling is like life, no? 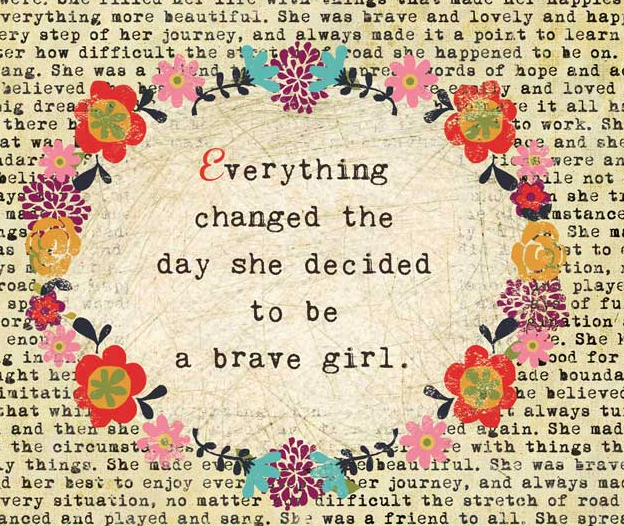 We all go through ugly stages - just have to keep moving through to get to the beautiful part. And, your page is simply lovely! Sometimes I get lost at the ugly stage, and things just get uglier! Nice to see your page recovery. heifer21 (at) hotmail (dot) com. 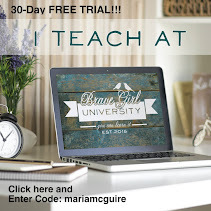 This week's blog hop has been so inspiring and helpful for ideas on "How to" use the products differently than I have in the past! TFS!! Love how your journal pages came out! Love all the layers - great way to keep working at a project. Stencils saved the day! Love that!! Your page turned out gorgeous, Maria! Love those spritzers and the great layers you have here Maria! well done! Wow does that process sound familiar! lol. But I love all the great layers you got! This turned out really fabulous in the end! Beautiful!